Grab your fortunate son and teach him the ancient, sacred art of tie dying. Okay… maybe it’s not that sacred, but tie dying has been around a lot longer than back when you were California dreamin’. Chill out if you don’t know how to dye a shirt. These tutorials will teach you how to just let it be and start out simple. For what it’s worth, a few Sweet Summer Shirts may be just what you need to get warmed up before you’re ready to tackle more complex patterns. 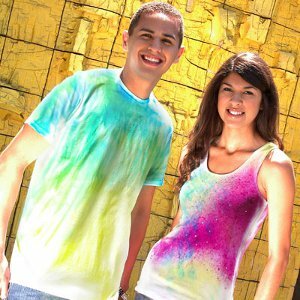 Imagine your kids living in harmony and helping each other make these cool tie dye shirts. Whether you’re living in San Francisco with flowers in your hair or just dreaming of more peaceful times, making your own tie dye T-shirt can be a fun project to fill some free time. 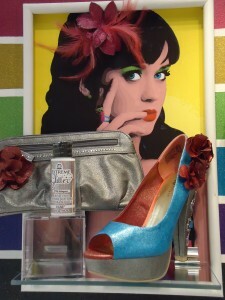 Everybody’s talkin’ about bold colors, so go with the flow and add some wearable art to your closet. It’s okay if you’re not an Aquarius. 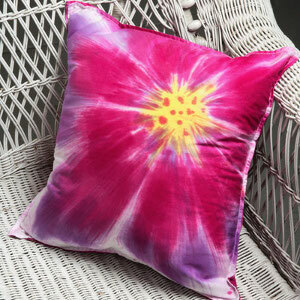 You can still let the sunshine in with these far out tie dye patterns. There’s a first time for everything, and tie dying is no exception. Here are a few easier tutorials to help get yourself warmed up and feeling groovy. With a few of these cool T-shirts, you will be feeling like a free spirit for the rest of the year. Get ready to ride the storm and take on a Tie-Dye Hurricane Swirl. 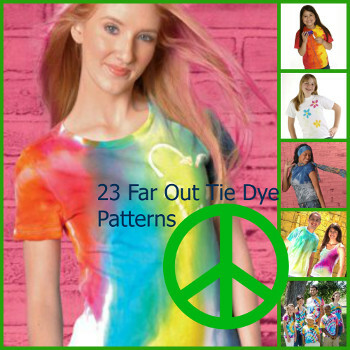 The possibilities are endless with a blank shirt as your canvas and fabric dye as your paints. Make a few shirts for yourself and another kind woman. The times they are a-changin’ and you’re getting better at your beginner tie dye techniques. It’s time to move on to something a little more challenging. 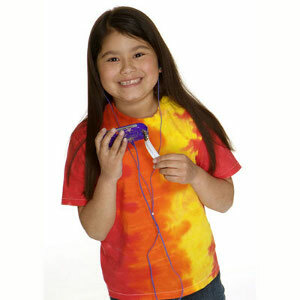 Try adding a little Purple Lightning Tie-Dye to your skills, or create a Starfire Explosion Bullseye Tee to show your adventurous side. 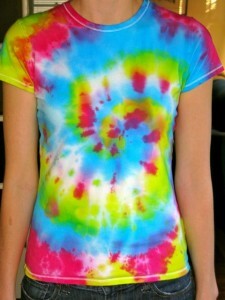 Kids love letting their creativity loose with tie dye shirt designs. These techniques were designed especially for kids to create and wear for their very first revolution (or just for a bit of summertime fun). Your daughter or son would look adorable in a Desert Sunset Paradise T Shirt, so help get it started and watch your children’s imagination soar. Discover these and more fun tie dye patterns in this collection of 94 Tie Dye Techniques and Patterns. Your inner peace frog won’t be calmed until you try at least one! Which 60s song helps you get your groove on? Several of the FaveCrafts editors were lucky enough to attend the Winter 2012 Craft & Hobby Association Trade Show last week at the Anaheim Convention Center (yes, we were right across the street from Disneyland! ), and I’d like to share some of the cool, crafty stuff I saw there! 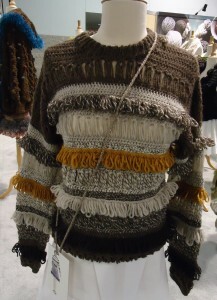 At this show, I was especially impressed by all the wearable crafts I saw. Fashion seemed to be a common theme in the exhibits on the show floor, and I couldn’t help but notice the number of booths that employed mannequins in their displays. Some of the crafty outfits were more pieces of artwork than actual garments, but it was clear that the female form was a serious source of inspiration for soft crafters and hard crafters alike at this show. 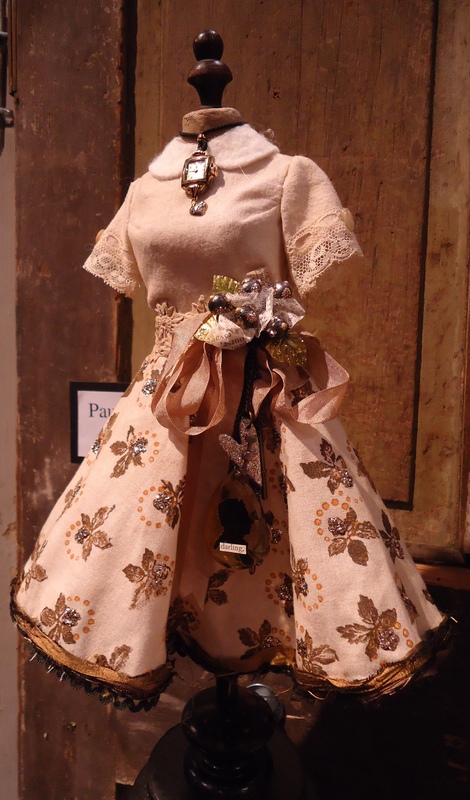 The Ranger booth perfectly captured the influence of the runway at this show with a Designer Challenge that tasked crafters with creating a miniature mannequin decorated with Stickles and Liquid Pearls. The results of the challenge showcased a range of styles as varied and unique as the designers themselves. 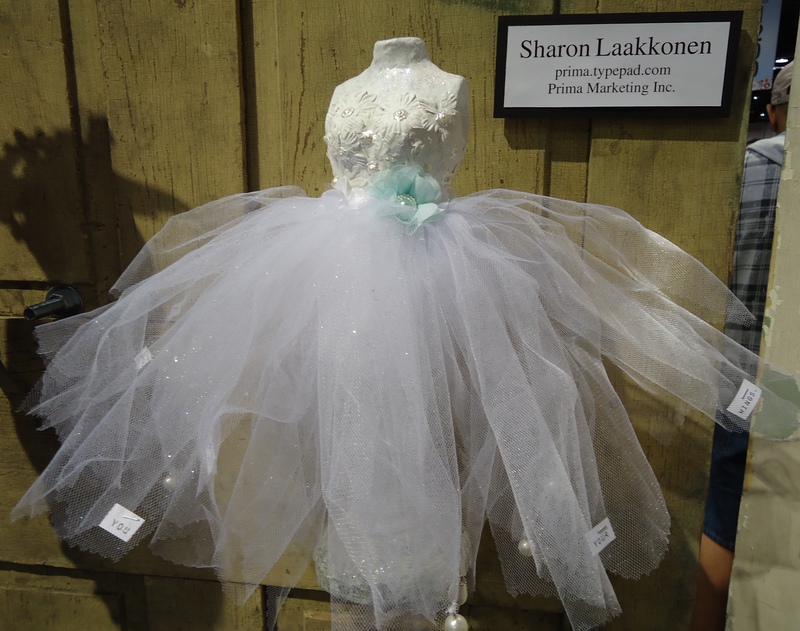 The diminutive fashions ranged from the retro dresses of Sharon Laakonen and Paula Cheney to the steampunk creations of Shari Caroll and Wendy Vecchi. 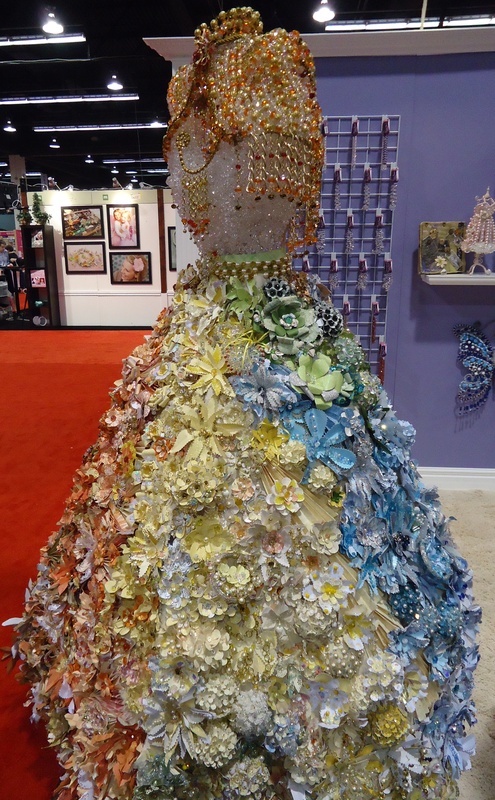 The theme of crafts as wearable art continued as I explored the show floor. I’m sure most CHA attendees caught sight of an extremely patient model being decorated with Tulip Body Art in the iLovetoCreate booth at some point during the show. She was hard to miss! Although the paint is marketed primarily for Halloween costumes and carnival-style face painting, the model was showing off the body paint as wearable art. Some of the crafty outfits I saw at CHA were more works of art than actual garments. 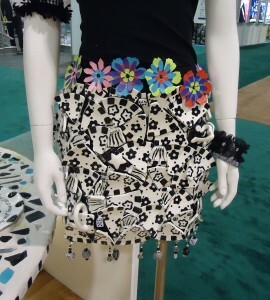 This skirt made from broken dishes in the iLovetoCreate booth was one of my favorites. I doubt you could actually wear it (can you imagine how heavy it would be? ), but I thought the mosaic of glazed pottery as a fashion statement was very creative! Likewise, this sparkling floor-length gown and waistcoat made of crystal beads and flowers certainly isn’t something you could wear to your next gala event, but it brought the extravagance of the runway to the CHA show floor. This masterpiece by Connie Tawfick showcases the incredible range of crystals sold by Connie’s Crystals. 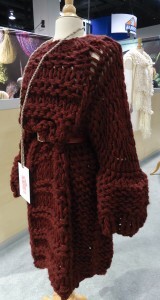 Of course, much of the crafty clothes we saw at CHA were more than just wearable art. Particularly in the yarn booths, displays of handmade clothing reminded us that crafting can be just as practical as it is creative. Armies of mannequins in beautiful knit and crocheted garments demonstrated that something as simple as yarn can be used to create functional clothing that’s stylish enough for the fashion magazines. Lion Brand Yarn held a fashion show that featured simple hats, scarves, and afghans alongside inspirational garments made by design students around the world. All of the items on the runway were created with the same Lion Brand yarns that you can find in your local craft store, proving that crafters are only limited by their imaginations when it comes to making clothing! Here are some of my favorite garments from the Lion Brand Yarn showcase (Designers and yarns used, from left to right: Elissa Eriksson, Fishermen’s Wool; Paula Cheng, Fun Fur and Vanna’s Glamour; Kirsty Emery, Wool-Ease Thick & Quick; Kirsty Emery, Silky Twist; Santiago Venegas, Fishermen’s Wool andVanna’s Choice). Although I spent at least an hour drooling over the pieces in the yarn booths, I was actually most fascinated by a different sort of crafty fashion at the CHA show. 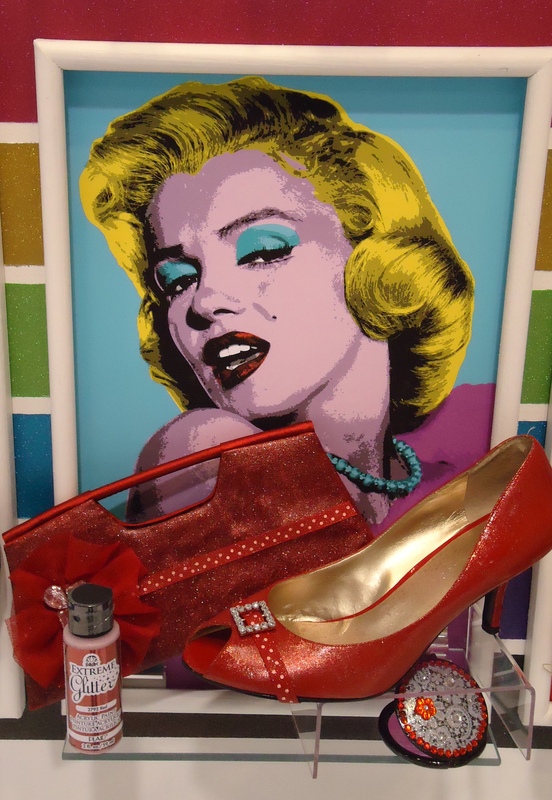 In the FolkArt section of the Plaid booth, I was surprised to find a display of shoes and matching handbags personalized with Extreme Glitter. 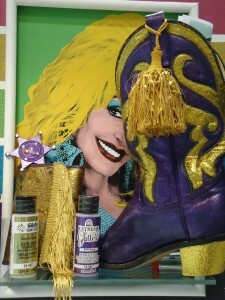 Before this show, I had never thought seriously about unleashing my crafty talents on my footwear, but the shoe showcase sparked my creativity! Plaid had upcycled accessories for a slew of cultural icons, including Dolly Parton, Marilyn Monroe, and Lady Gaga. Even the demure Princess Kate had a slightly sparkly wedge made in her honor. So now that I’ve got your creative juices flowing with all of these fashion photos, it’s time to get crafting! 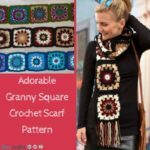 I’ve put together a list of tutorials for crafty clothing and accessories you can make at home. Enjoy! 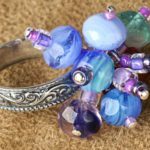 Have you made any wearable crafts? Do you wear them often? P.S. Want to win a CHA swag bag? Find out how to enter here. 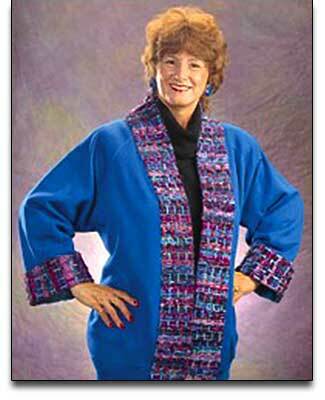 Turn a plain sweatshirt into a fashionable jacket with pretty woven edge. Use assorted fabrics and threads to create the women edge. Use an old pillowcase or less than 1 yard of fabric to create a feminine sun hat with or without bias trip on the brim. Take this sun hat on vacation or wear while gardening. 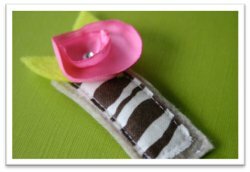 Sew your own hair clips using cotton or felt scraps and add embellishments such as crystals, flowers and embroidery. These clips are a great activity for a craft party. Red, white, and blue is a great color combination. Unfortunately, like many holiday color schemes, there are only certain days that you’re allowed to wear these colors together. So take advantage of the upcoming 4th of July holiday by allowing yourself to match the flag—just don’t use all of these ideas at once unless you want to be mistaken for Uncle Sam. Try this project idea for a flower and ribbon headband, or this one that uses feathers—you can personalize them in red, white, and blue for 4th of July. The possibilities are endless! Another subtle way to show your patriotism on the 4th is with a festive, homemade bib necklace. Just as with headbands, bib necklaces are easily customizable for any holiday and can be embellished with just about anything—flowers, ribbons, beads, buttons…I could go on forever! Decorating headbands and bib necklaces in red, white, and blue is a stylish way to incorporate your 4th of July crafts into your wardrobe. For those who want to wear their patriotism on their sleeve (or any other part of their shirt), why not customize a ruffle shirt project for the 4th of July? Ruffles are also very stylish right now, and they are one of the easiest things to sew. To make a 4th of July ruffled shirt, all you need is a plain T-shirt or tank top and some festive fabric. Any type of fabric will do, as long as it’s red, white, and blue! You can even cut up a second T-shirt to use for fabric. First cut your fabric into three long strips, about 2.5” wide. Make two of the strips about 18” long and one about 24”. That way you will have one long ruffle that runs down the middle of your shirt, flanked by two shorter ruffles. Turn your strips into ruffles by sewing a straight line down the middle of each strip using your sewing machine’s largest stitch. Leave a few inches of thread hanging off the ends of your strips. Next, pull one thread and watch your strips bunch up into ruffles. Once you’ve got all three ruffles done, it’s time to sew them onto your shirt. First sew the longest ruffle down the very middle of the shirt (make sure to take the machine off its largest stitch or else your ruffles won’t be very secure!). 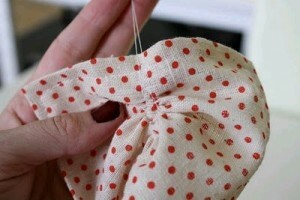 Then sew each shorter ruffle down on either side of the middle ruffle, making sure they are still both the same length. When you make and wear these 4th of July crafts, you’ll be just as vibrant as the fireworks, only much, much trendier. If you surf the web looking for new and exciting craft ideas, you have likely come across a collection of tutorials on how to refashion a men’s shirt. Oversize men’s shirts especially provide a great deal of fabric for new projects. 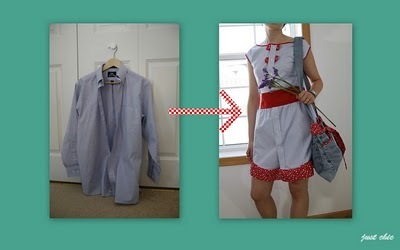 You can learn how to refashion a men’s shirt from your man’s closet or pick up some used shirts from your local thrifty store. To spark your creativity, here is a collection of ideas on how to refashion a men’s shirt. 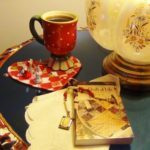 Quilt- A men’s shirt quilt is my favorite idea for how to refashion a men’s shirt. 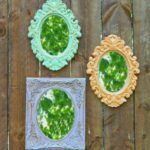 This refashion project is perfect for a Father’s Day gift or a quilted decoration that your man will love too. You will need between 7-12 men’s shirts for this project, depending on the size of the shirts and the size of your desired quilt. 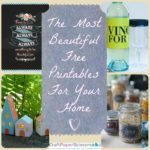 If you don’t have that many in the home, pick up a few more at your local thrift store. Pick a collection of different check and stripe shirts for an interesting look. 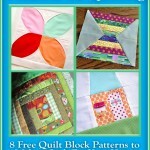 You can do simple squares for your quilt or more intricate quilt blocks. Collars and Capes- Turn a men’s dress shirt into a cute little collar or a warm cape for the cooler months. The collar of a men’s shirt can become a really fun embellished necklace. You can also use the collar and/or cuffs of a men’s shirt to add contrast to a woman’s shirt. Ruffles- You can use a men’s shirt to add ruffles to a plain dress or a dress refashioned from another men’s shirt (see Dress below). Apron- An oversize men’s shirt can easily become an apron when the edges start to wear. Use another shirt to create an apron with contrast edging. Pajamas- Use the comfortable fabric of worn-in men’s shirts to create comfortable pajamas. Make a fitted camisole and shorts set or a sleep sack for a young girl. Fitted Shirt for Woman- You can find many free sewing tutorials to refashion a men’s shirt into a fitted shirt for a woman. You can make a ruffle tube top, a peasant blouse or a fitted short-sleeve shirt. Dress- An oversize men’s shirt can be refashioned into a cute dress with colorful binding. You can cut-off the sleeves and use for flower embellishments on your girly dress. A smaller men’s shirt can be refashioned into a toddler dress too. Skirt- Turn the button down front of a men’s shirt into a bubble skirt or a fashionable pencil skirt. Shorts and Pants- Make striped shorts for a 4T toddler with one XL men’s dress shirt. Elastic at the waist is an essential addition for kids’ clothing. For a little one, use the sleeves of a large shirt to create a pair of pants, with cuffs at the ankles! 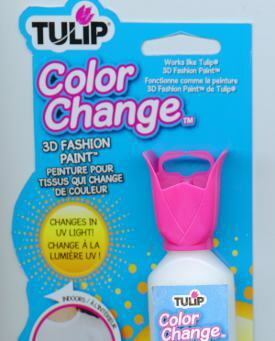 three 4 OZ bottles of Tulip® Permanent Fabric Dye™ (fuchsia, lime and turquoise)- These colors are bright, but work well together. You can use one, two or all three for your project. You can also blend the colors for solid coverage…I was thinking about adding turquoise to the fuschia for a deeper purple color. The best thing about these dyes is that they do not bleed everywhere. Precision application was surprisingly easy with the fine-tip squeeze bottles. And, I had a dyed product in about 4-6 hours. one 2 OZ bottle of Tulip® Resist™- This nifty gel material allows you create areas that resist the dye…useful for creating white designs with the stencils, or you can create your own designs. Image painting an abstract design on you shirt with a the resist gel and then using the fabric dye. 4 pairs of gloves- These are absolutely necessary. You will also need big garbage bags to protect your work surface. I did this in the kitchen near the sink and did not have much trouble with mess. Rubber bands- Thick, sturdy rubber bands for a variety of dye techniques. Instruction guide that includes five outrageous techniques; Shibori, Spray, Batik, Brush and Urbanesque. I picked up a few white t-shirts at the local thrift store to experiment. Since this was my first time tie-dying, I wanted to try something with all the colors. The five techniques included in the kit booklet were great, but I picked the Swirl Tie-Dye Technique for my first project. Here’s how my spiral-dyed shirt turned out. Fun right? I love it! The technique was super-easy and I used the rubber bands from the kit. I also used the spray bottle and the vaporization technique explained in the booklet to create a shirt for a friend, but I forgot to snap a picture before giving it away! The look is very modern, different from the classic hippie look with my shirt. I’m planning on dying an apron soon with the shibori technique explained in the kit booklet too, so I’ll make sure to take more pictures. I amazed that I still have dye left! 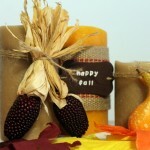 If you are interested in purchasing this kit or any fabric dye products, you can get free shipping at www.ilovetocreate.com. Enter in the code “fave1009” for free shipping at checkout! Offer expires 11/30/2009. With 28 fabric dye projects organized by 18 different dye techniques, the Fun with Fabric Dye eBook is the ultimate craft resource for fashion and fun. Dye techniques, including Batik, Sunburst, Heart and Shibori, include step-by-step photo instructions so that anyone can master the technique. 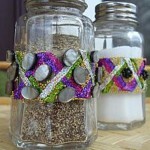 PLUS, find two great ideas for “tie-dye” ceramics in the eBook. Tulip is offering FREE shipping on fabric dye purchases at their website. Just enter in the code “fave1009” for free shipping at checkout. Offer expires 11/30/2009. Dyed Yarn Knit Scarf, with scarf knitting pattern (pg. 10)- Pick up an inexpensive skein of white yarn and use the Tulip® One-Step Tie-Dye KitsTM– Psychedelic to create beautiful variations of color in the yarn. Use the dyed yarn in your next knitting project. 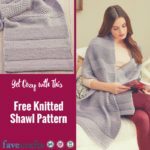 A suggested scarf knitting pattern is included! Pink Berries Skirt (pg. 36)- Fabric dye can be quite elegant, as with this beautiful sateen skirt displaying a subtle variation in color. Create the skirt shown or use this technique with your favorite color. Crochet Rainbow Top (pg.25)- Highlight the crochet or other texture at the top of a shirt with this tie-dye craft project. 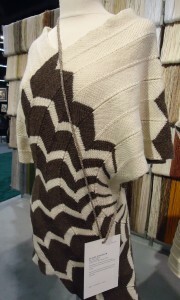 If you create the shirt, use this idea for a variety of colors without switching yarns or fabrics. Add some color to a boring old top. Fashion Shower Curtains (pg. 46)- Fabric dye is great for more than just clothing. You will have the most stylish shower curtain (or drapery) with this ombre project, inspired by moonlight. Learn more and download the eBook for FREE here.